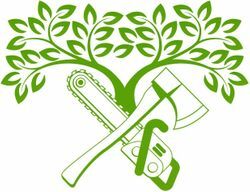 We offer friendly, reliable tree services in the North Okanagan area. Green Giant Tree Removal offers friendly reliable service to the North Okanagan area. Locally owned and operated. Green Giant Tree Removal is a Certified Utility Arborist and fully insured. Established in 2015 with 15 years experience in arboring and in the forestry industry, you can expect a professional job done every time from the smallest pruning to major technical removals all the way down to the cleanup. Proud to have put our dot on the map right at your doorstep! At Green Giant Tree Removal, our team is fully insured so you can have peace of mind. We're proud of what we do and our arborists are carefully trained to deal with a wide variety of trees, ranging from cedar to larger trees. Whether you’re planning to renovate your backyard or you want to increase the safety of your property, you can trust that we’re capable of handling any size project. We serve the North Okanagan area. We are fully equipped and can handle all tree services, whether your trees and shrubs need trimming or you want to remove trees and stumps from your property. Contact Green Giant Tree Removal today for a free estimate!